In honor of the United State’s twentieth-anniversary publishing of Harry Potter, I will be sharing a book list once a month to highlight books tweens should read based on their Harry Potter House. In April I highlighted books every Slytherin should read and in July I highlighted books every Gryffindor should read. This month I am highlighting books every Ravenclaw should read. Ravenclaws are often categorized as the smartest house, but this doesn’t mean that people in other houses are less intelligent. Like all houses, there are a diverse group of people that make up the house. Perhaps the most distinguishing quality of Ravenclaw is their love of learning. This often makes Ravenclaws possess intelligence, creativity, individuality, and wit. When it comes to reading, they often want to be challenged and learn something new. This results in Ravenclaws reading a wide range of literature. They especially love mystery or puzzle based books, thrillers, historical fiction, and reading about a character unlike themselves that they can learn from. Set in 1969, the United States has turned its eyes up to space in anticipation for the moon landing. Ten-year-old Mamie is no exception. Her class is assigned to write letters to astronauts. 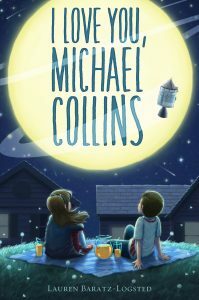 Mamie’s classmates all choose to write about Buzz Aldrin or Neil Armstrong who they know will take the first steps on the moon. Intelligent Mamie takes a different approach. She decided to write to the pilot Michael Collins who has to stay on the ship. Even after her school assignment is over, Mamie continues to write to him. She uses the letters as a way to cope with her family’s issues and to learn that being alone and lonely are two different things. Why Ravenclaws will like it: This book is unique as it accurately depicts what everyday life in 1969 was like. Ravenclaws will appreciate this detail and will enjoy learning about the space race and tensions with the Soviet Union. More importantly, Ravenclaws will connect with the main character Mamie who is intelligent, resourceful, and took a school assignment to new heights. Set in an alternate world of New York City, three kids named Tess, Theo, and Jamie are put up against an evil developer. The developer wants to destroy Tess and Theo’s home that their family has lived in for generations. 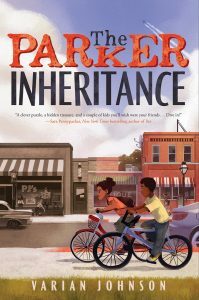 Conveniently, Tess and Theo find a clue to a famous historical treasure that the Morringstar twins who helped establish the city left behind. Tess, Theo, and their friend Jamie must race against the clock to solve the ciphers to find the treasure to save their home. Why Ravenclaws will like it: Ravenclaws will enjoy this book’s mystery. 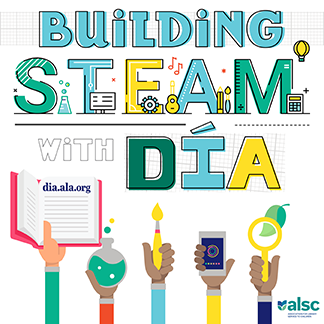 They will also enjoy learning about New York City’s history and strategically solving the puzzles and ciphers throughout the book. 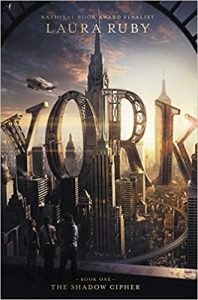 When they get done with the book itself, it is no question that they will want to learn more about ciphers and the establishment of New York City. Claudia feels unappreciated by her parents and board with her life. She decides it is time to run away to New York’s Metropolitan Museum of Art. Claudia teams up with her brother Jamie and leaves her home in Connecticut to begin her new life. As the two carefully carry out their plan to live in the Museum, they discover a mysterious statue. It is rumored to be created by Michelangelo, but is it? Both Claudia and Jamie spend their nights sleeping in the Museum and days solving this exciting museum mystery. Why Ravenclaws will like it: What Ravenclaw would not want to run away and live in a museum and solve mysteries? Readers will empathize with Claudia’s feelings of injustice and appreciate Jamie’s love of puzzles. Be careful though, your young Ravenclaw might try to run away to the nearest museum. Luigi Lemoncello is the world’s best game maker. In the height of his career, he decides to design and open a library in twelve-year-old Kyle’s hometown. Lucky for Kyle, he is one of twelve kids that wins a spot in the grand opening of the library. Kyle is looking forward to a night of food, games, and fun. Little does he know, however, Mr. Lemoncello has locked him in the library. Kyle and his teammates must follow the clues he left behind to escape. 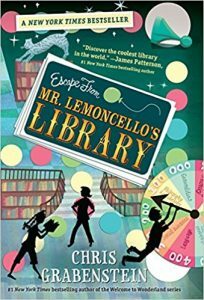 Filled with puzzles and riddles, readers can follow along to see if they too can escape from Mr. Lemoncello’s library. Why Ravenclaws will like it: Mr. Lemoncello believes that learning should be fun. Ravenclaws will appreciate this and will wish that they too could visit Lemoncello’s library. More importantly, they will enjoy trying to solve all of the puzzles with the characters in the book. Thee kids named Josef, Isabel, and Mahmoud are refugees at different times. 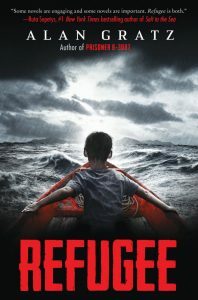 Josef is a Jewish refugee desperately trying to escape Europe during WWII, Isabel is trying to escape Cuba after a food shortage in the 90s, and Mahmoud is trying to escape modern-day Syria after his home is bombed. Although the characters might live in different time periods, they all share the desire to find a place of refuge. Why Ravenclaws will like it: Ravenclaws will enjoy experiencing the lives of others that are different from their own. They will be captivated by Gratz’s writing and will enjoy learning about the WWII, Cuba, and the Syrian Crisis. Be prepared to have nonfiction on hand for readers to learn even more about these topics. Candice grandmother was known for being the city official who ordered the town to dig up a tennis court because she thought there was treasure buried there. When no treasure was found, her grandmother left her job in a cloud of shame. After her death, Candice and her mother spend the summer cleaning out Candice’s grandmother’s house. Candice discovers letters that describes an injustice that happened to a woman named Siobhan Washington. 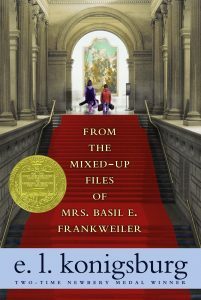 She must follow the letters to unravel the mystery and find the treasure that her grandmother desperately tried to find. With the help of her bookish next door neighbor Brandon Jones, the two set out to solve the mystery and redeem her grandmother’s name before summer ends. Why Ravenclaws will like it: Ravenclaws will enjoy slowly solving the mystery, puzzles, and riddles throughout this book. They will also appreciate how the letters reveal what life was like in the 1950s for African Americans in the south allowing them to learn more about this time period first hand. Need more for a display? Tween readers might also enjoy: The Jamie Drake Equation by Christopher Edge, The War Below by Marsha S. Krypuch, Matilda by Roland Dahl, The Science of Breakable Things by Tae Keller, The Girl Who Drank Moon by Kelly Barnhill, Ghost Boys by Jewell Parker Rhodes, Tuck Everlasting by Natalie Babbitt, and Wait Till Helen Comes by Mary Downing Hawn. Teen readers might enjoy: The Curious Incident of the Dog in the Night-Time by Mark Haddon, Allegedly by Tiffany Jackson, Truly Devious by Maureen Johnson, The Book Thief by Markus Zusak, The Illumine Files by Jay Kristoff, The Book of Dust by Phillip Pullman, Before I Fall by Lauren Oliver, and The Diviners by Libba Bray. This post addresses the following ALSC Core Competency: I. Commitment to Client Group, II. Reference & User Services, and V. Knowledge, Curation and Management of Materials. #MeToo and Children’s Publishing – What Can I Do?